One of Napa Valley's elite Cabernet Sauvignons, crafted from family-owned grapes grown at the foot of Spring Mountain. A small production, luxurious, elegant wine. 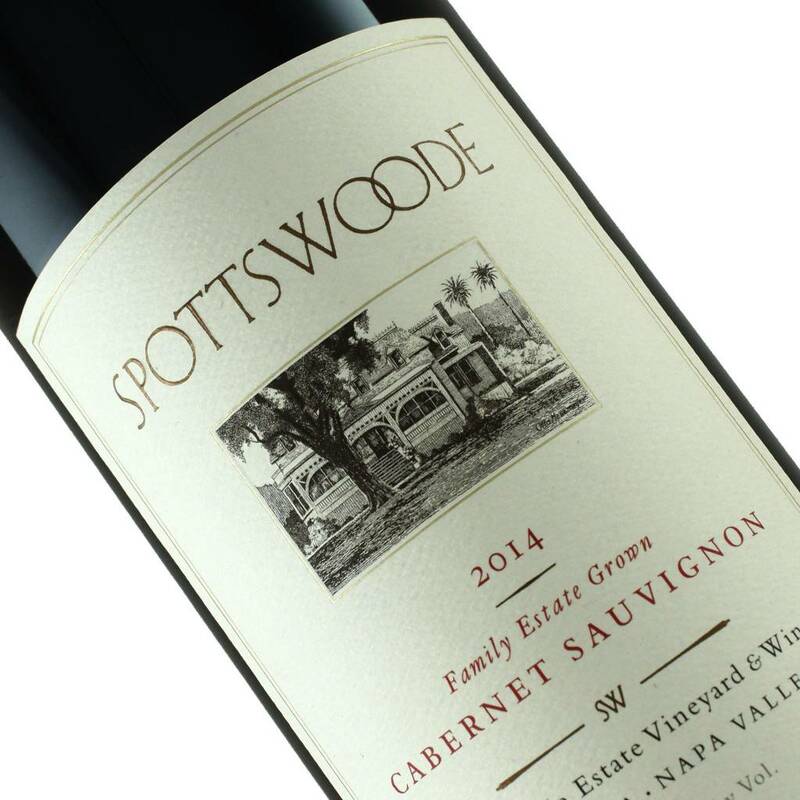 Tucked into the base of Spring Mountain at the western border of St. Helena, the Spottswoode vineyard has been producing some of the finest Cabernet Sauvignon in California. After having to completely replant in the 1980s, the small winery has bounced back and is now among our favorite Napa wineries of all. The 2014 exudes power and elegance. Dense and focused with primary, bright, youthful, fresh characters. Plenty of ripe blue and red fruit accompanied by notes of mocha, carob, butterscotch, and toast. Hints of dried herb and rose petal. Long, clean, and fresh, its strong acid backbone is a hallmark of what will be another long-lived, collectible wine. Discernable tannins that are youthful yet lengthy complement the underlying intense fruit. Great texture! All the promise you like to find in a young wine.